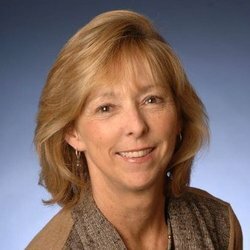 I'm Celia Waters, and currently I direct executive communications for the Chief Learning Officer at SAP. My passion is leveraging employee communications to strengthen corporate cultures and create great places to work. A former writer for The Christian Science Monitor, I have helped companies such as NetApp, Sun Microsystems and Hewlett-Packard make FORTUNE Magazine's list of "100 Best Companies to Work for" and strengthen their corporate cultures. (4) Contribute to an energetic team that loves what they do, thinks outside the box and is committed to doing what's best for their internal and external customers. (5) Have fun and advance ongoing learning for myself and my colleagues. My background includes more than 15 years of progressively senior roles in executive and employee communications, including leadership roles developing global communications strategies, executing programs that incorporate the latest intranet and social media capabilities, writing for CEOs and senior executives, and managing teams to successful implementation of objectives. I have developed employer brand campaigns and written Annual Reports for global technology companies. I'm an effective team player and graceful under pressure. I am affiliated with International Association of Business Communicators (IABC), Council of Communication Management (CCM), Princeton University Alumni, NetApp Alumni. I am a former trainer for the Positive Coaching Alliance, and an active member of my church. On a personal note, I'm a former 10-meter platform diver ranked in the top 10 nationally; a marathon runner who's completed the Boston Marathon and numerous Bay to Breaker racers; a tennis player whose team went to the 2008 Nationals; and a former banjo player who once took lessons from Jerry Garcia! In my spare time I enjoy playing tennis, attending hockey games, cycling, and spending time with my three grown children. I'm excited to meet and network with my NAPW colleagues!